BANGKOK, 2017-Jun-06 — /Travel PR News/ — The Pacific Asia Travel Association (PATA) is reasserting its commitment to sustainable development across the entire spectrum of travel and tourism with a renewed pledge to support the Paris Accord within the United Nations Framework Convention on Climate Change. Embedded within this PATA advocacy theme is an acknowledgement and recognition that tourism must play an influential role in preserving the planet’s natural resources by adopting effective, sustainable practices. “Our members, both public and private sector, are leading by example. They recognise that responsible business practices must embrace practical measures to offset the potentially irreversible damage to our planet caused by climate change,” said PATA CEO Dr. Mario Hardy. 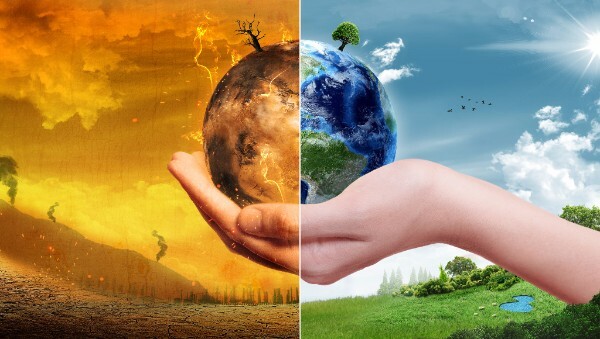 Dr. Hardy has welcomed the responses and statement of leading business figures such as Apple CEO Tim Cook and Tesla Inc. co-founder Elon Musk as well as the Governors of several US states that, together, have also reaffirmed their commitment to combating climate change. “Now is the time to reinforce our determination for the principles and objectives of the Paris Agreement under the United Nations Framework Convention on Climate Change. This agreement has now been ratified by 147 nations and territories. We encourage more nations to sign and to support practically the efforts to reduce carbon emissions,” added Dr. Hardy. For more information, please visit www.sustain.pata.org. Founded in 1951, PATA is a not-for-profit membership association that acts a catalyst for the responsible development of travel and tourism to, from and within the Asia Pacific region. The Association provides aligned advocacy, insightful research and innovative events to its member organisations, comprising 95 government, state and city tourism bodies, 25 international airlines and airports, 108 hospitality organisations, 72 educational institutions, and hundreds of travel industry companies in Asia Pacific and beyond. Thousands of travel professionals belong to the 36 local PATA chapters worldwide. The chapters organise travel industry training and business development events. Their grassroots activism underpins PATA’s membership of the Global Travel Association Coalition (GTAC), which includes ACI, CLIA, IATA, ICAO, WEF, UNWTO and the WTTC. The PATAmPOWER platform delivers unrivalled data, forecasts and insights from the PATA Strategic Intelligence Centre to members’ desktops and mobile devices anywhere in the world. PATA’s Head Office has been in Bangkok since 1998. The Association also has official offices or representation in Beijing, Sydney and London. This entry was posted in Business, Festivals and Events, Tourism, Travel, Travel Issues, Travel Management, Travelers and tagged Climate change, Elon Musk, Mario Hardy, Paris Accord, PATA, Tim Cook, United Nations Framework Convention. Bookmark the permalink.